As announced yesterday at Connect #MSFTConnect, Microsoft plans to merge several acquired products into a new product, named Visual Studio Mobile Center. It will be, as they call it, a mission control center for your mobile apps. Nowadays Microsoft has several products scattered over several ecosystems and they plan to bring it together in one product. So what will it contain? Well as you might know Microsoft acquired HockeyApp in late 2014. HockeyApp then joined forces with the Application Insights team. They strengthened their vision on crash reporting and gathering analytics for your apps. I have even heard that in the near future you should be able to correlate your analytics from your App with the analytics from your back-end. This will bring new exciting insights into your software. Next to that HockeyApp is also great at beta testing and distributing your Apps, I personally don't expect that Microsoft will change a lot here, but that's only for the better since it already works excellent in HockeyApp. With the acquisition of Xamarin in February this year Microsoft joined forces with one of the major mobile frameworks out there. I think it completes their vision on Cross Platform development. With .NET running on almost every device Microsoft development ecosystem became much stronger. But with the acquisition of Xamarin, Microsoft also bought Xamarin's Test Cloud. Its a cloud of real devices where you can run your Calabash or UITest tests on. Its very powerful but the downside is that its a little ecosystem on its own. 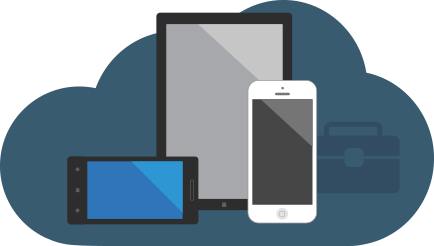 Microsoft announced yesterday that Test Cloud will also be part of the new Visual Studio Mobile Center. Moving it into a merged ecosystem will enhance our productivity and reduce the numbers of accounts that we have to make and licenses that we have to buy. I even expect that the business model of Test Cloud will be changed to pay-per-use, just like in lots of Azure components, instead of the 3 license levels they now provide. Hopefully this will be the case! One quick downside I noticed in the presentation is the fact that it doesn't support Cordova. I saw Xamarin, React Native and Objective-C / Swift. I'm not sure why Microsoft didn't include Cordova in it because they are still busy with the TACO tools in Visual Studio. Maybe it will be added in the future, hopefully. So Mobile Center looks great and I can't wait to play with the preview. Let me know what you guys think!